*I got this book through LibraryThing Early Reviewers. I love the premise and the fact that time travel is a huge part of this novel; I hope it doesn't disappoint. Goodreads says, "The year is 2009. Nineteen-year-old Jackson Meyer is a normal guy… he’s in college, has a girlfriend… and he can travel back through time. But it’s not like the movies – nothing changes in the present after his jumps, there’s no space-time continuum issues or broken flux capacitors – it’s just harmless fun. That is… until the day strangers burst in on Jackson and his girlfriend, Holly, and during a struggle with Jackson, Holly is fatally shot. In his panic, Jackson jumps back two years to 2007, but this is not like his previous time jumps. Now he’s stuck in 2007 and can’t get back to the future. Desperate to somehow return to 2009 to save Holly but unable to return to his rightful year, Jackson settles into 2007 and learns what he can about his abilities. But it’s not long before the people who shot Holly in 2009 come looking for Jackson in the past, and these “Enemies of Time” will stop at nothing to recruit this powerful young time-traveler. Recruit… or kill him. Piecing together the clues about his father, the Enemies of Time, and himself, Jackson must decide how far he’s willing to go to save Holly… and possibly the entire world." *I got this ARC through Around the World Tours. I will be posting my review this week. Unfortunately, I was a bit disappointed by this one. *I got this e-galley from NetGalley. Thank you! I look forward to this historical read. Who doesn't find Marie Antoinette fascinating? Goodreads says, "Raised alongside her numerous brothers and sisters by the formidable empress of Austria, ten-year-old Maria Antonia knew that her idyllic existence would one day be sacrificed to her mother’s political ambitions. What she never anticipated was that the day in question would come so soon. Before she can journey from sunlit picnics with her sisters in Vienna to the glitter, glamour, and gossip of Versailles, Antonia must changeeverything about herself in order to be accepted as dauphine of France and the wife of the awkward teenage boy who will one day be Louis XVI. Yet nothing can prepare her for the ingenuity and influence it will take to become queen. Filled with smart history, treacherous rivalries, lavish clothes, and sparkling jewels, Becoming Marie Antoinette will utterly captivate fiction and history lovers alike." 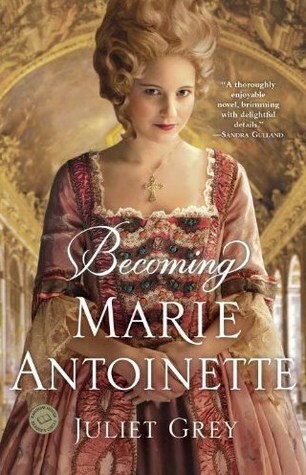 The Becoming Marie Antoinette cover makes me want to go to a costume party. 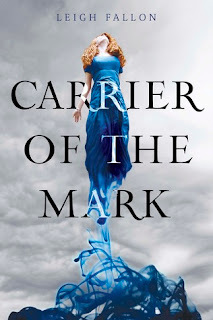 You'll have to tell me what you think of Carrier of the Mark, because a lot of people have gotten it but I've heard really mixed reviews. I hope you enjoy everything else you got. Also come check out my IMM! I have Tempest from NetGalley but I haven't read it yet. I also have Becoming Marie Antoinette and I hope I'll get to read it soon! I haven't read Carrier of the Mark but I've noticed that others have been disappointed by it too. I look forward to reading your review of it. Great books! Really great mailbox this week. 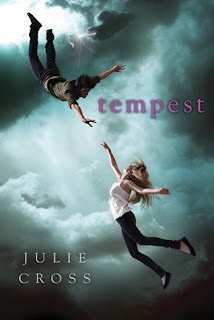 I just love the cover of Tempest by Julie Cross. I so hope that it's going to be awesome. :) Happy Reading and I'm looking forward to your reviews. I think I requested TEMPEST from NetGalley...I should check!! They all look good - it'll be hard to decide which one to read first. I got Tempest a few weeks ago and can't wait to start it. It looks really good. I hope that you enjoy your new books! I hope Tempest doesn't disappoint for you either! :) Great books this week! I heard great reviews on Carrier of the Mark and Tempest I'm really intrigued by both. I really liked becoming marie antoinette, and i've been struggling with historical fiction lately, so that's saying something :) Enjoy! Great set! I really liked Carrier of the Mark but I can understand why you didn't. I want to read Becoming Marie Antoinette. i would start with Becoming Marie Antoinette, as i love historical fiction about royalty! Carrier of the Mark looks good also. Carrier of the Mark is on my wish list. Happy reading!